Your teenager’s view of Mexico may be vastly different from yours. While you are focused on culture and food, he may be more interested in the beach and the teen scene. Family vacations with teenagers can be challenging in any country, however, and it’s important to find ways to accommodate younger interests during your journey. 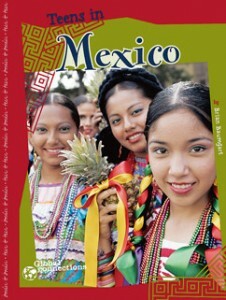 You need to remember to get your Mexican Insurance with Mexican Insurance Store.com before you go. One teen interest you shouldn’t accommodate on the road is driving as Mexican Insurance Store auto insurance for Mexico doesn’t cover drivers under the age of 21. You can still discuss rules of the road, foreign road signs and other car related topics, but your Mexican auto insurance by Mexican Insurance Store makes it clear – no driving. There are lots of beaches in Mexico, and whether you drive into mainland or travel through Baja, the beach is a great point of interest for many teens. You can take your surfing or snorkeling apparel, but you’ll also find rental points in popular places like Ensenada and Rocky Point. Look for some incredible wildlife experiences at coastal areas as well. Take a boating tour to see more. Enjoy the beach scene in a resort area, providing your teen with the chance to participate in coordinated activities. Shopping is another great option. Check out malls in towns like Tijuana. Explore tourist areas in Puerto Vallarta or Mazatlán. When you stop to shop, make sure you pick an active area for parking. It’s always a worthwhile investment to choose paid parking lots in busy areas. You may want to keep in mind that full coverage is wise for dealing with potential theft and vandalism issues. You can choose full coverage or liability only, and your choice of Mexican Insurance Store auto insurance for Mexico with theft protection will allow you to deal with the loss of a vehicle. Most providers working with Mexican auto insurance by Mexican Insurance Store require that such issues be reported while you are still in the country. Additionally, this type of plan for Mexican Insurance with Mexican Insurance Store.com includes provision for your travel home. While you might want to enjoy the authentic elements of Mexican culture, it’s okay to play the part of a tourist with your teenager. Your Mexican Insurance with Mexican Insurance Store.com can be supplemented online if you need extra time in the country to fit in all of your planned activities.